A 1954 Jaguar D-Type raced by the factory team at Le Mans will headline the 2018 RM Sotheby’s Arizona Auction Week sale, to be held January 18-19 on the grounds of the Arizona Biltmore Resort in Phoenix. The third of six Works D-Types to come out of Jaguar’s Coventry factory in 1954, chassis XKD 403 (registration mark OKV 2) was Jaguar’s designated lead team car for Le Mans in 1954, piloted by none other than Stirling Moss and Peter Walker. The car led the race and set a new speed record of 172.97 mph on the Mulsanne straight before retiring with brake problems just after midnight. Throughout 1954 OKV 2 went on to contest Reims, also at the hands of Moss/Walker, and the Dundrod Tourist Trophy with drivers Peter Whitehead and Ken Wharton — where it secured fifth overall. By late November 1954, the car had been fitted with a 3.4-Litre engine, and was used for testing by chief factory test driver Norman Dewis. In 1955, the D-Type was sold to Jack Broadhead to be raced by Bob Berry — the privateer team was referred to as “Ecurie Broadhead”. Following a documented factory rebuild in 1956 after the car was damaged at Goodwood, Broadhead continued to campaign the car at numerous events throughout the 1950s, including at Goodwood, Oulton Park, Aintree, Silverstone and more, at the hands of some of the most capable drivers of the period; Bob Berry, Peter Blond, Ron Flockhart, Jack Fairman, Ivor Bueb, and Reg Harris. 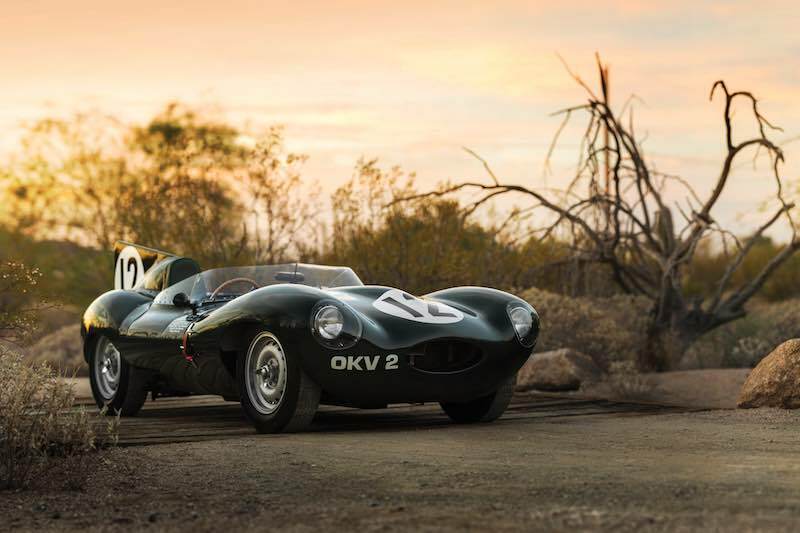 All told, OKV 2 was one of the most actively raced D-Types of the 1950s, driven at one point or another by names which also include Hawthorn, Sanderson, Stewart, Titterington, Hamilton, and Beauman. 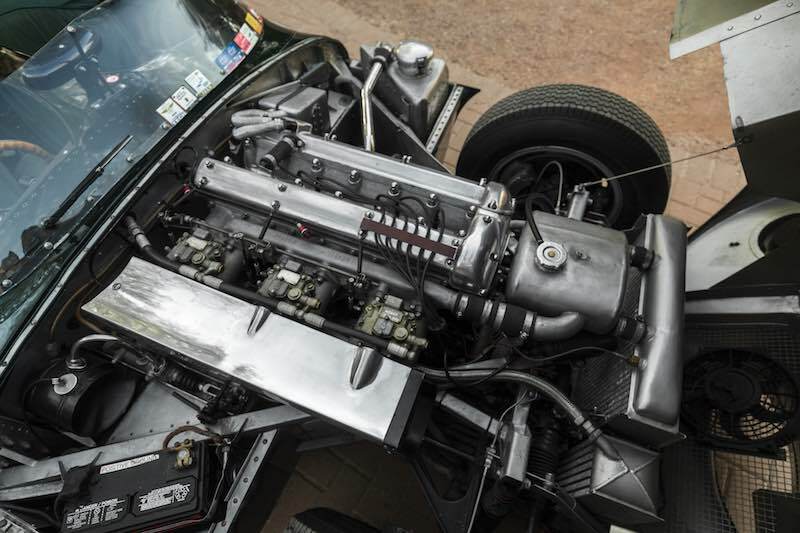 This D-Type cemented the foundation of Jaguar’s success at Le Mans in the ensuing years. XKD 403 was the team’s workhorse as well as their testbed for continuous technological development. Following nearly two decades in storage, OKV 2 landed with Lynx in the early 1980s, who restored the car, retaining all of its metal panels. While in the U.K., the D-Type was taken on the Jaguar factory cavalcades to Le Mans in both 1996 and 1997, before it was sold to its first American owner in 1999. 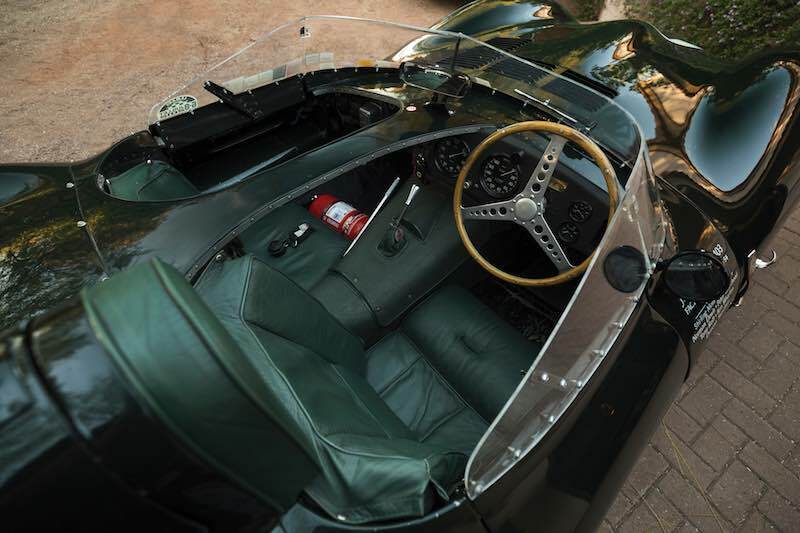 The car has since participated in numerous vintage events, including the Goodwood Revival, Colorado Grand, California Mille, Copperstate 1000, Monterey Historics, and numerous Jaguar Club of North America events. OKV 2 has been in its current ownership since 2009 and is offered for public sale for the first time at the 2018 RM Sotheby’s Arizona sale. Presented with a documented and continuous history from the moment it left the factory, OKV 2 retains its factory tub, chassis, drivetrain, and suspension. The Jaguar is expected to bring in excess of $12,000,000 when it crosses the podium in January. The Jaguar will be joined at RM’s 2018 Arizona Auction Week sal by a 1952 Ferrari 212 Inter Coupe with a special one-off body by Ghia. 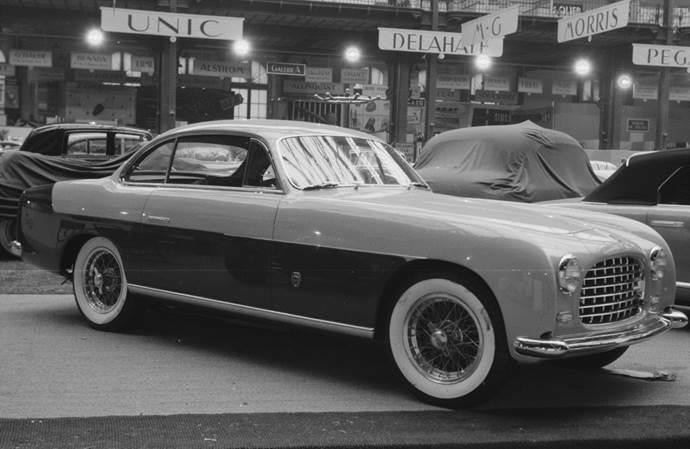 Chassis 0191 EL was displayed at the 1952 Turin and Paris Motor Shows before it was sold to its first owner, founder of Editoriale Domus SrL, Gianni Mazzocchi Bastoni of Milan. The car was sold the following year to then President of Argentina, Juan Domingo Perón, who retained ownership for two decades. After passing through a string of South American, American, and European proprietors, the Pebble Beach and Cavallino Platinum award-winning Ferrari is offered out of nearly two decades of ownership by an American collector, wearing a preserved restoration in its original yellow and black color combination (Est. $1,600,000 – $2,000,000). For additional information, visit www.rmsothebys.com. Oh, My!! Magnificent history. “If I were a rich man” rings in my ears. Thank you for posting this item.